We at XMPie Inc. (“XMPie”, “We”, “Us” or “Our”) respect your privacy. XMPie is the data controller for the data practices described in this Policy. XMPie is the data controller for the for the data practices described in this Policy. We are located at 485 Lexington Avenue, 25th Floor, New York, New York, United States of America. Users can submit inquiries through various forms on our Website. Once you submit an inquiry through the various forms on our Website, we will ask you to provide us the following information: full name, email address, mobile phone number, state/country, the company you represent and any other information you choose to share with us (hereinafter: “Inquiry Information”). Also, we give our users the option to subscribe to our newsletter if they desire. In order to subscribe, we will ask you to provide us with Inquiry Information mentioned above. You do not have a legal duty to provide the information, and providing it, is subject to your willing consent. When you visit our website, we will record and collect certain information in relation to your visit and use of the Website, including: IP address from which you accessed the Website, time and date of access, type of browser used, language use, links clicked, and actions taken while browsing the Website, preferences while using the Website, and your search queries. XMPie may collect or use the assistance of third parties to collect and analyze anonymous, statistic or aggregative information related to your use of the Website, including information related to your personal details and activities. (hereinafter: “Analytical Information“). Certain services on the Website may require registration. Certain services on the Website (such as customer support portal and customer information portal) require registration. Should you choose to register, you will be asked to provide us with a username and a password of your choosing that will identify you when accessing those services. By registering you agree to keep your username and password in confidentiality. It is recommended to change the password at least once every six months. We use Inquiry Information to respond to your inquiry. We use your Information for marketing purposes, if you’ve opted-in for marketing communications. Subject to your prior consent, we will use the Information and Inquiry Information to contact you occasionally, either by XMPie or by a representative on its behalf, including by sending e-mail messages and information related to XMPie products and services (hereinafter: “Promotional Communications”). 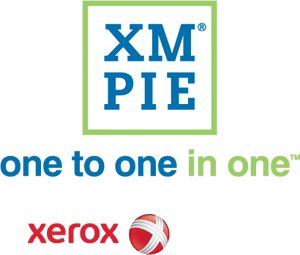 You may opt-out from our marketing communications through the unsubscribe option in each marketing email, or by sending us an email to info@xmpie.com. You may ‘opt-out’ of Promotional Communications at any time through the unsubscribe option in each marketing email or by sending an email to our support service at: info@xmpie.com. The legal basis under EU law for collecting and processing your contact information for marketing purposes is your explicit consent. We use Analytical Information to improve the Website and to enrich the content on the Website and the services we offer to customers. We also use the Analytical Information to adapt the Website, its content, and services to users’ preferences. In addition, we may analyze and provide statistical information to third parties. Such information provided to third parties will be anonymized. We share your Information with our family group of companies. We will share your Information with members of our family group of companies, such as XMPie Ltd. who help us process the data for the purpose set out above. We share your Information with our service provider helping us operate our business and the Website. We will share your personal information with our service providers who assist us with the internal operations of our Website and the Services. These companies are authorized to use your personal information only as necessary to provide these services to us and not for their own promotional purposes. We do not sell your personal information to third parties. We will share your Information with competent authorities, if you violated the terms of your engagement with XMPie. If we are required to disclose your information by a judicial, governmental or regulatory authority. We will also share your information if we are required or reasonably believe that we are required by law to share or disclose your information. We will disclose your information in any case of legal proceedings. In any case of dispute, or legal proceeding of any kind between you and XMPie, or between you and other users or third parties with respect to, or in relation with XMPie. We will share your information when we believe it is necessary to prevent serious harm. In any case where XMPie may reasonably believe that sharing information is necessary to prevent serious damage to your person or property or to the person or property of any third party. If the operation of our business is organized within a different framework, or through another legal structure or entity (e.g. due to a merger or acquisition), we will share your information to enable the structural change. We implement data security measures and procedures to secure the information stored on our computer servers and to reduce the risks of damage, loss of information and unauthorized access or use of information. However, these measures do not provide absolute information security. Therefore, although efforts are made to secure your personal information, it is not guaranteed, and it cannot be expected that the Website will be immune from information security risks or from unauthorized access. Such requests will be examined by XMPie and their resolutions will be documented and notified to you promptly. The rights set out above are not absolute and there may be instances where applicable laws and regulations allow or require XMPie to decline to provide or delete some or all of the Information it maintains about its users. If we will change this Policy, we will provide you notice of such change through the Website interface or by sending you an email notice. XMPie may change this Policy from time to time at its own discretion or when required by law. Substantial changes will come into effect 30 days after XMPie has posted an initial notification on its Website’s homepage or any other webpage operated by XMPie with respect to such changes. Other changes will come into effect 7 days after XMPie has posted an initial notification, unless such changes are made due to legal requirements. Should such changes take place due to legal requirements, they will come into effect immediately upon their initial notification, or as required by law. Should you feel that certain content that appears on our Website harms or offends you in any way, you may contact us via email at info@xmpie.com. We will do our best to resolve your issue promptly.